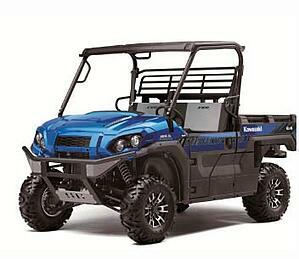 While motorcycle and ATV sales have been flat for a few years, utility task vehicles (UTVs) are going strong. 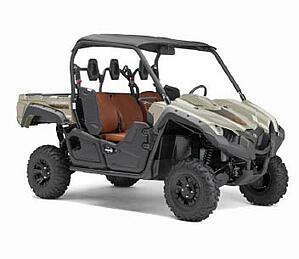 Commonly called "side-by-sides," UTVs recently have seen sales around 400,000 units per year. 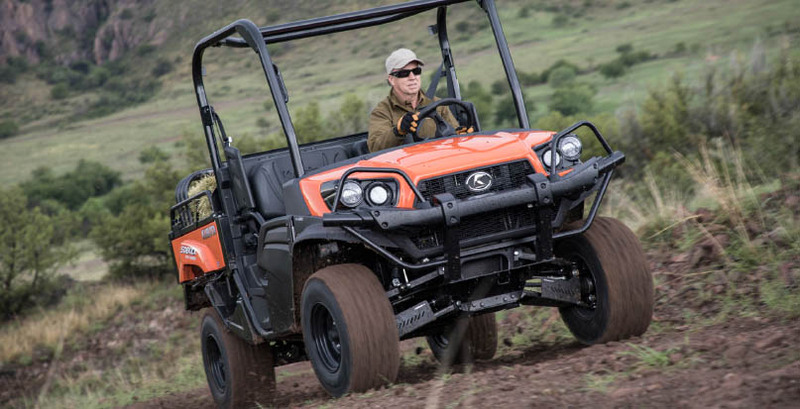 Unlike single-rider ATVs, which are useful for light jobs around the acreage, UTVs let you bring help along, and they offer hauling and towing capacity. Built-in cargo boxes can haul several hundred pounds and some even have dump capability. A low center of gravity and knobby tires let UTVs go practically anywhere with both 2WD and 4WD options. 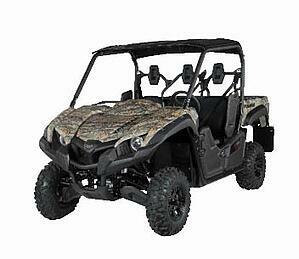 Two-thirds of UTVs are sold for commercial purposes and farming; the rest go for recreation. After all, what’s more fun than bombing through a forest and exploring trails with friends? 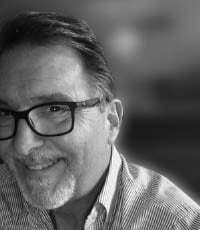 What follows are some of 2018’s—and a few of 2019’s—most intriguing UTVs. Check them out. 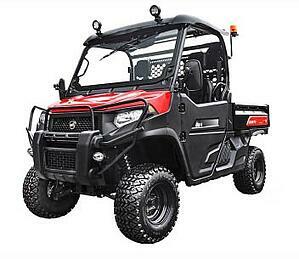 Yanmar’s capable UTVs seats either three passengers (Bull model) or six (Longhorn model) in comfortable three-across seating. Both feature a fuel-injected 700cc-class gas engine, front and rear disc brakes, and a 600-pound capacity reinforced steel cargo bed with tie-down hooks. New for 2018 are green camo and a “Black Angus” edition, which includes matte metallic grey paint and a matte black hood adorned with a large, carbon fiber BULL logo graphic. The Prowler Pro is all about—well, prowling, powered by a quiet 50-hp 812cc EFI engine known for low-end grunt. Vibration-reducing engine mounts minimize buzzing and harshness while a tuned exhaust with a rubber isolator lessens exhaust noise. Drive-by-wire throttle technology and CVT gives smooth acceleration and off-gas deceleration. Nearly 11-inch ground clearance and 2000-pound towing and 1500-pound payload capacities give the Prowler plenty of off-road utility. A new look highlights the Viking Ranch Edition for 2019, with Metallic Sand paint, color-matched interior, cast aluminum wheels, hydraulic dump bed, and more. 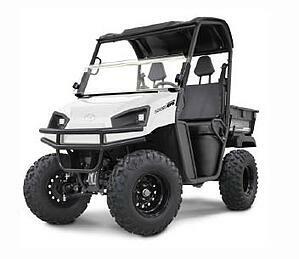 Powered by a torquey liquid-cooled, fuel injected, SOHC 700-class engine, this model is equipped with Yamaha’s Real World Tech package that includes its Ultramatic transmission and On-Command 4WD. In addition to a 600-pound capacity bed, this model has a hard sun top, rear view mirror, overfenders, and underseat storage. Want to go fast? 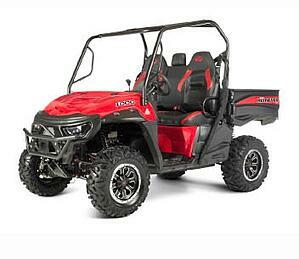 Mahindra’s 83-horsepower, 1000-cc gas engine lets its UTV reach up to 60 mph and still have a 2,500-pound towing capacity. This new model comes in Mahindra red, olive green, and authentic RealTree AP camo with black or aluminum wheels. The Mahindra Retriever series comes in single-row, crew, and long-bed models in either gas and diesel powertrains. Cargo box has electric dump or Mahindra’s Flexhauler variable-configuration cargo box. American-made, the LS550EPS from American LandMaster offers electronic power steering as a standard feature, along with a true on-demand 4WD system and five-position adjustable shocks for a comfortable ride under challenging conditions. Powered by the Vanguard 479cc engine from Briggs & Stratton for speeds up to 24 mph, the LS550EPS is easy to operate and maintain. An impact-resistant, 500-pound capacity, weatherproof dump bed is complemented by the heavy-duty powder coated steel frame. 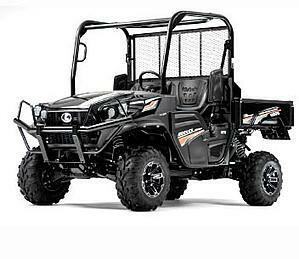 Kubota’s new RTV-XG850 Sidekick is built around a 48-hp gasoline engine, getting you and a passenger quickly up to 40 mph. Features include CVT transmission, selectable 2WD/4WD, digital cluster with tilt steering wheel, LED headlights, and convenient charging outlet. Kubota’s distinctive half doors keep dirt and brush away while making it easy to get in and out. Built-in storage areas and a steel cargo bed with 1000-pound capacity offer utility inside and out. Called the landowner’s best friend, the new Kioti K9 2400 UTV has contemporary styling, easy ergonomics, and storage aplenty. Power comes from a 24-hp 3-cylinder diesel engine for speeds up to 31 mph. Features include an 1100-pound capacity metal bed (spray-in liner standard), optional hydraulic dump kit, 12.5-inch ground clearance, 1300-pound towing capacity, hydraulic power steering, protection package with skid plates, front grill guard, and front/rear hitch receivers. Passengers? Cargo? Jobsite? Ranch? The Mule Pro FX series handles them all. The 2019 Mule Pro FXR brings recreational abilities and premium styling in a full-size yet compact side-by-side with plenty of utility. It's powered by an 812-cc three-cylinder fuel injected DFI gasoline engine producing 48 lb-ft of torque. A continuously variable transmission (CVT) with an electronically selectable 2WD/4WD system and dual-mode locking rear differential gives the driver control in a variety of conditions. 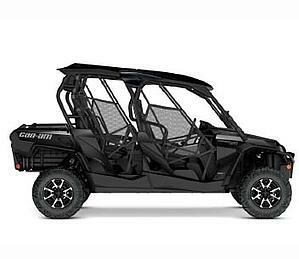 The priciest UTV in this showcase, the Commander Max Limited charges toward “sport” rather than “utility.” A liquid-cooled, 8-valve Rotax 976-cc V-twin pumps out 92 horsepower. Three levels of dynamic power steering adapt to speed and terrain. This spacious four-seater also has integrated Garmin GPS. Built-in front bumper and bed rails protect this machine, while the front half-windshield and hard sport roof protect the occupants. Unique two-level cargo box offers carry-all utility. 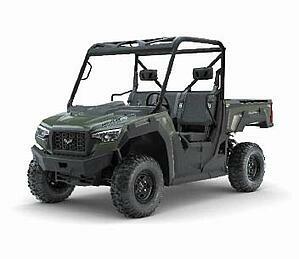 Still shopping around for the best UTV? Check out these 2019 models from Polaris.